Nathan Stoltzfus is Rintels Professor of Holocaust Studies at Florida State University. 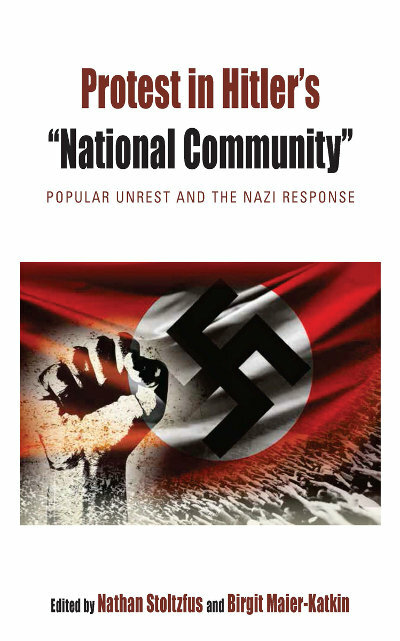 His most recent publication is Hitler’s Compromises: Coercion and Consensus in Nazi Germany (New Haven: Yale, 2016). Birgit Maier-Katkin is Associate Professor of German at Florida State University. She is author of Silence and Acts of Memory: A Postwar Discourse on Literature, History, Anna Seghers, and Women in the Third Reich (Bucknell University Press, 2007). Chapter 3. The Demonstrations in Support of the Evangelical Land Bishop Hans Meiser: a Successful Protest against the Nazi Regime? Appendix V: Excerpts from testimonies of women who protested for their Jewish husbands in response to a request from the Berlin Bureau of Reparations, 1955. Appendix IX: Documents in response to the Witten Protest and from 1944 indicating Hitler’s continuing refusal to use force against “racial” civilians who refused to follow regime guidelines for evacuating bombed areas. Appendix X: Excerpts from the recent German press representing controversies about public protest by ordinary Germans in the Third Reich.